It’s at the end of Nora Ephron’s life, in “Room 242” at New York Hospital where Washington Post columnist Richard Cohen begins and ends She Made Me Laugh: My Friend Nora Ephron , his recent tribute to the journalist-Oscar nominated screenwriter-essayist-director-playwright. He recalls sitting with her husband and sisters and sons at her hospital bedside as family and friends drift in and out of the room. I first came to know Cohen when I was a graduate student at the University of Southern California through an introduction from my professors. My master’s thesis tackled what Ephron would say we should do about “the marriage crisis” — the record high of young adults not now and not likely to ever be married as millennials eschew traditional nuptials in favor of cohabitation or permanent single-dom. Ephron, I thought, the master of the romantic comedy and second and third wave feminist critiques, would most certainly have the answers. It made me laugh, and it became my favorite line of the piece. Cohen, and all of the accomplished writers and filmmakers I came to know through writing about Ephron, became my favorite people. It became clear that for all of his years of hard news reporting in New York and Washington, Cohen was softened by the tiny but mighty tour de force that was Nora Ephron. “She had immense self-confidence, a ready wit, a capacious hard drive of a mind, and absolute certainty,” Cohen writes, noting that she emanated so much strength that she could seemingly summon a cab from blocks away. Writing was more than a way to make a living. It was a way of life. It became her saving grace after her very public and painful split from Cohen’s fellow Washington Post colleague, journalist Carl Bernstein in the novel and film Heartburn , and in between successful films in Hollywood. Stories about Ephron’s devotion to the craft of writing — from her news story ledes, to essay rewrites, to collaboration on scripts — have become legend. 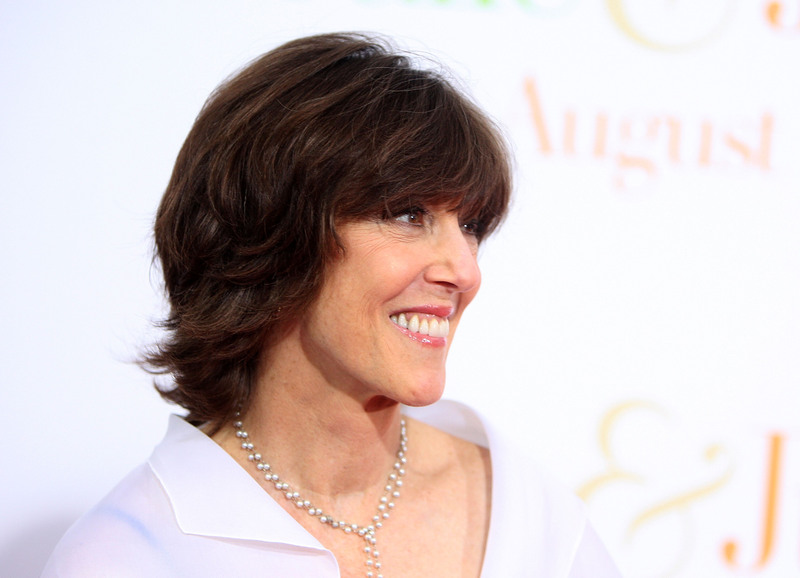 Coming of age in journalism during the second wave of feminism in the 60s and 70s, Ephron’s candid, forward-thinking approach and biting prose made her a standout voice, landing her a job at the New York Post. Whether she was writing about relationships between men and women, politics, or her candid disdain for the size of her breasts, she eventually earned her own column in Esquire in 1972 where she continued to write about women’s issues, and often even “quibbled and quarreled with the women’s movement” itself, Cohen writes. But it was an Italian man who stole her heart and inspired her most popular films: the 80s and 90s romantic comedies such as When Harry Met Sally… (which co-starred the late Carrie Fisher in one of her most hilarious roles), Sleepless in Seattle and You’ve Got Mail. Food — one of Ephron’s other longest-running love affairs — was one of her favorite ways to bring people together. It’s fitting, Cohen writes, that the culinary flavored biopic Julie & Julia was her last film. It has a warm, maternal instinct to it that is so charmingly Ephron. Ephron, an ambitious writer, film director and loyal friend, was always a doting mother, and that tenderness is perhaps best seen through the single mother characters in her films This is My Life (played by Julie Kavner) and in My Blue Heaven (played by Joan Cusack). She was certainly not a typical person or writer, Cohen writes, but she was a typical mother in her devotion to her sons. So how did Nora do it all, said Cohen, according to Academy Award-winning actress Meryl Streep? In her essay “Thing I’ll Miss/Things I won’t Miss,” one of the only times she hinted at her illness, she wrote about her love of books, dinners, Christmas, New York, her children, and of course, Nick. To Cohen, that was his darling Nora: Powerful, feminine, funny, soft, bright, perfect. Images: Book cover courtesy of Simon & Schuster. All other images courtesy of HBO/Jacob Bernstein.